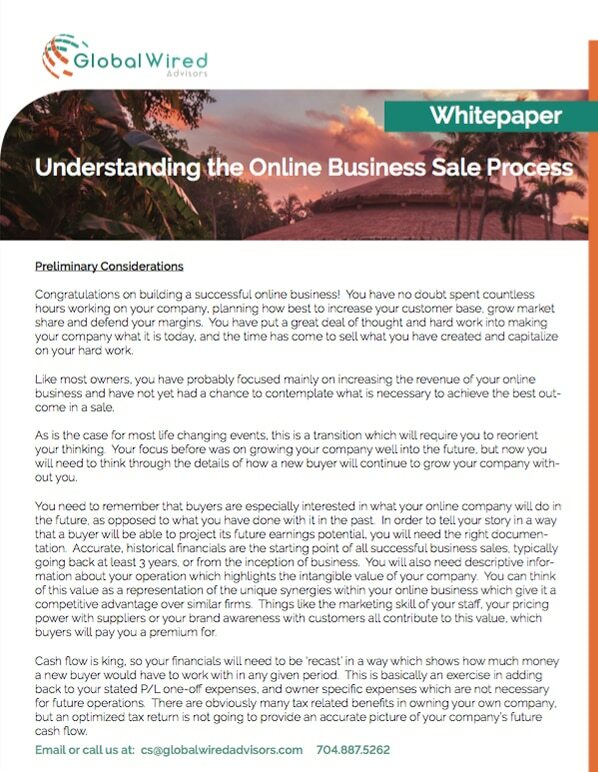 Congratulations on building a successful online business! You have no doubt spent countless hours working on your company, planning how best to increase your customer base, grow market share and defend your margins. 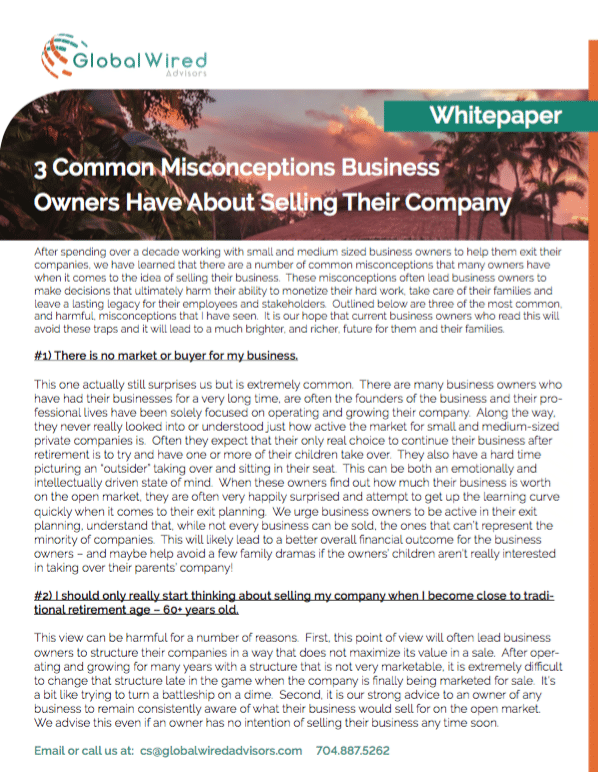 After spending over a decade working with small and medium sized business owners to help them exit their companies, we have learned that there are a number of common misconceptions that many owners have when it comes to the idea of selling their business. Timing a business exit in the current market: If It Feels Good, Do It !! As a business owner, there’s a good chance things have never felt better. 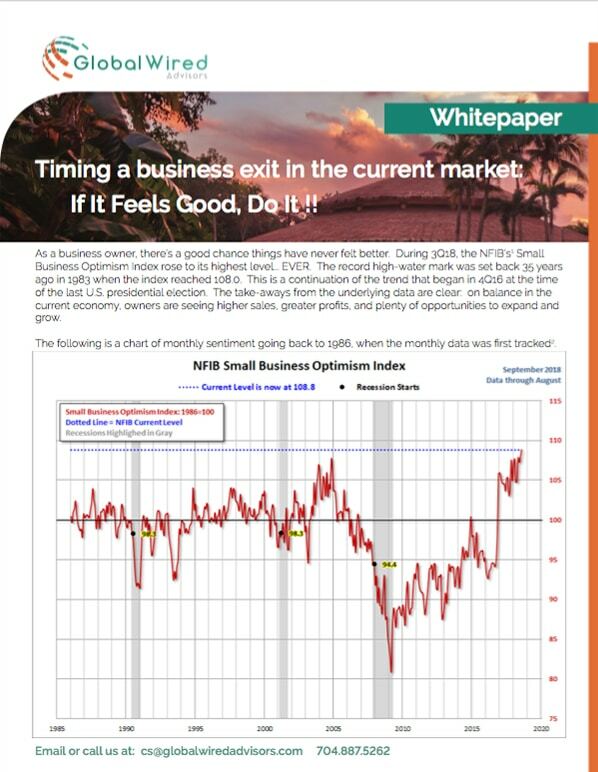 During 3Q18, the NFIB’s1 Small Business Optimism Index rose to its highest level... EVER. The record high-water mark was set back 35 years ago in 1983 when the index reached 108.0.